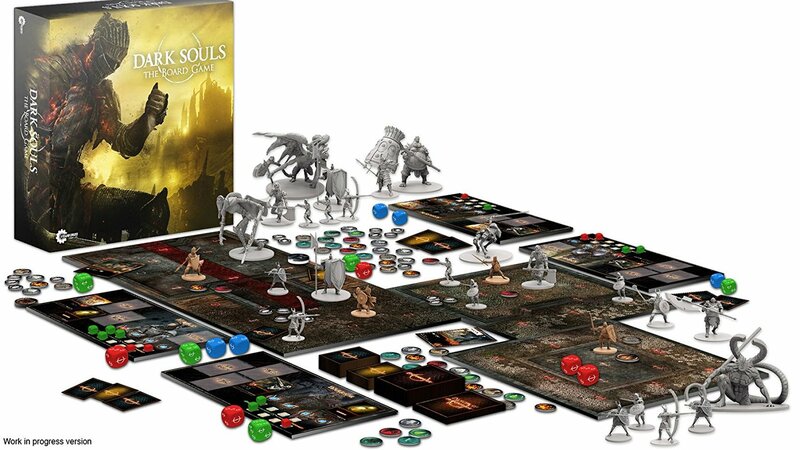 Dark Souls: The Board Game is a cooperative dungeon crawl board game for 1–4 players. To win the game, players must work together tactically to learn how to defeat enemies before finally confronting the boss. Players will find specific attack patterns and weaknesses of the enemies, but they will have to be careful. If a player's character dies, the game does not end, but starting over comes at a cost. Each time a character falls in combat, the whole party must return to the bonfire, and all enemies reset. Use your resources sparingly, learn quickly, and prepare to die.